One of my goals for this summer is to visit one of the many farmer’s markets around the area on the weekend. And I crossed that goal of my list last Saturday. What I love most about the farmer’s market is the yogurt guy! He makes the best homemade Greek yogurt you will ever ever taste. It costs an arm and a leg but it is soooo worth it. And he has a whole table of different amazing flavors. Next to the yogurt is the produce selection, the best fruits in season. They’re always so much better than store bought, by a hundred millions times! We scored the largest, juiciest, sweetest peaches and plums in all of the lands. Let me tell you, I don’t frequent farmer’s market that often and I don’t even know why. 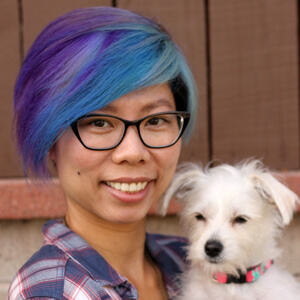 I live in SoCal where it’s sunny 99% of the time and farmer’s market is not just a summer thing. I can’t wait to go back for some more juicy plums, I’m feeling a plum tart next week. So one night, we were sitting around after eating those luscious peaches, raving how delicious they were and how the ones from the grocery store are never even half as good. I started reading about peaches online… unlike some other fruits, they don’t ripen after being picked. Often, peaches are harvested early while they are still firm so they can withstand shipping without getting bruised. Also, after a certain time in cold storage, an internal breakdown occurs resulting in dry and mealy peaches… it’s a terrible disaster when you end up with those. Some sources claim you can ripen peaches by putting them in brown paper bags and others. But based on my personal experience, you can make them softer, yes, but you can’t make them sweeter. No matter what you do, the peach will only have the same amount of sugar it contains when it was picked. Hence, the best way to get your hands on those mouthwatering peaches is to buy local. And I know I’m one of the lucky ones since CA climate is ideal for peaches. 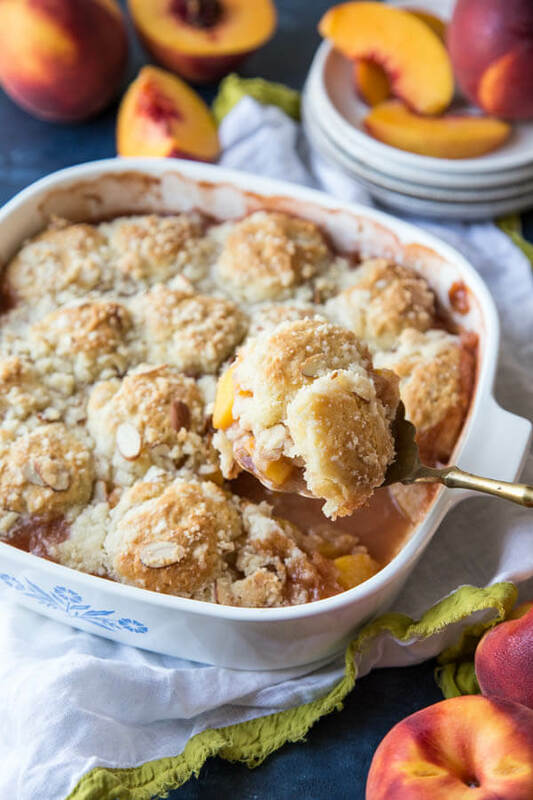 Oh, did I mention I made peach cobbler, with almond streusel no less? 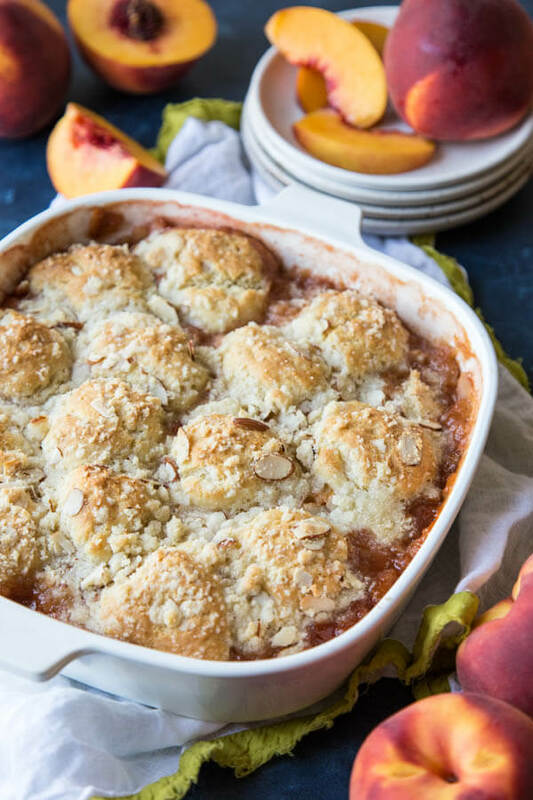 I made this peach cobbler the day after the farmer’s market trip. I was diligent about it because I know if I don’t bake right away, there won’t be any left for cobbler. I served these with fresh peach ice cream from Fosselman’s, just one of my favorite ice cream shops ever. But I’m sure vanilla will do just fine. 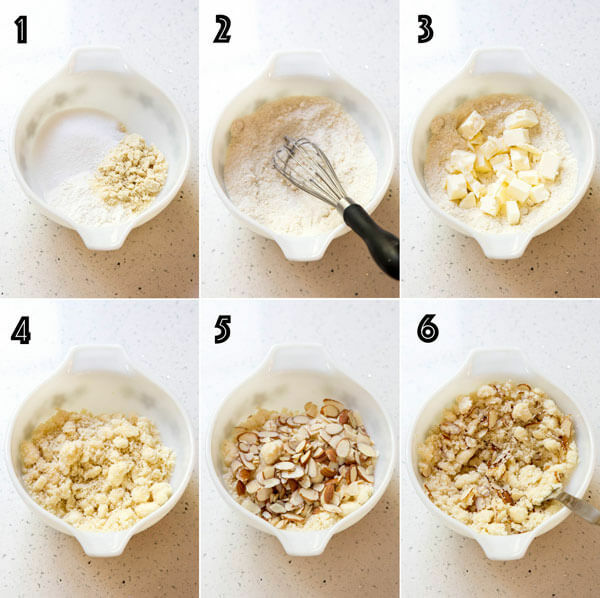 Prepare the almond streusel first by adding flour, almond meal, sugar and salt in a small mixing bowl, whisk to combine evenly. Store the almond streusel in the fridge for at least two hours before using. Wash the peaches, remove the stones, cut into 1” pieces and place in a medium mixing bowl. Add the brown sugar, salt and tapioca flour to the peaches, toss together. Refrigerate until ready to use. Add flour, sugar, baking powder, baking soda and salt to another medium mixing bowl and whisk to combine. Cube the cold butter and add to the flour mixture, toss to coat all the butter pieces with flour. Rub the butter cubes in the flour mixture with the tips of your fingers until all the pieces are about pea and lima bean size, working quickly so the butter doesn’t melt. Make a well in the middle of the flour mixture and add the buttermilk. 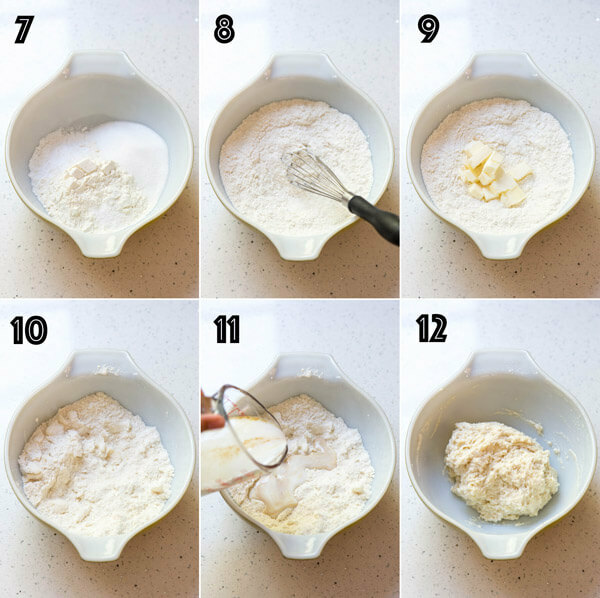 Fold the flour into the buttermilk using a spatula until a dough form. Turn the dough out onto a lightly floured board, pat into a disk, fold the dough in half and pat out into a disk again, repeat 4 times more, work with the heel of your hands. Re-flour the board as necessary. Then pat the dough out to about 1/4” thick. Cut into 8 pieces. 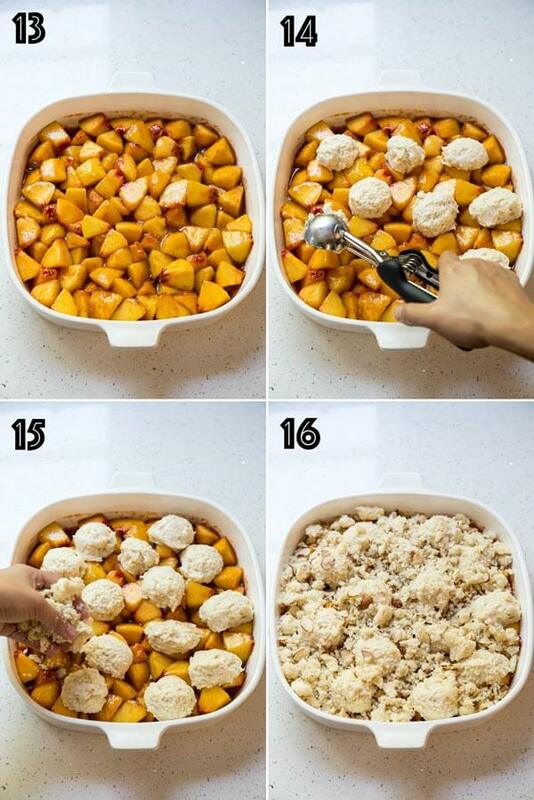 Pour the peach filling into an 8”x8” baking pan, place the biscuit pieces on top of the filling evenly, and sprinkle all of the almond streusel over the top. Place the baking pan on a cookie sheet, bake at 400°F for 30 minutes until the top of the cobbler is golden brown and the filling is bubbling. 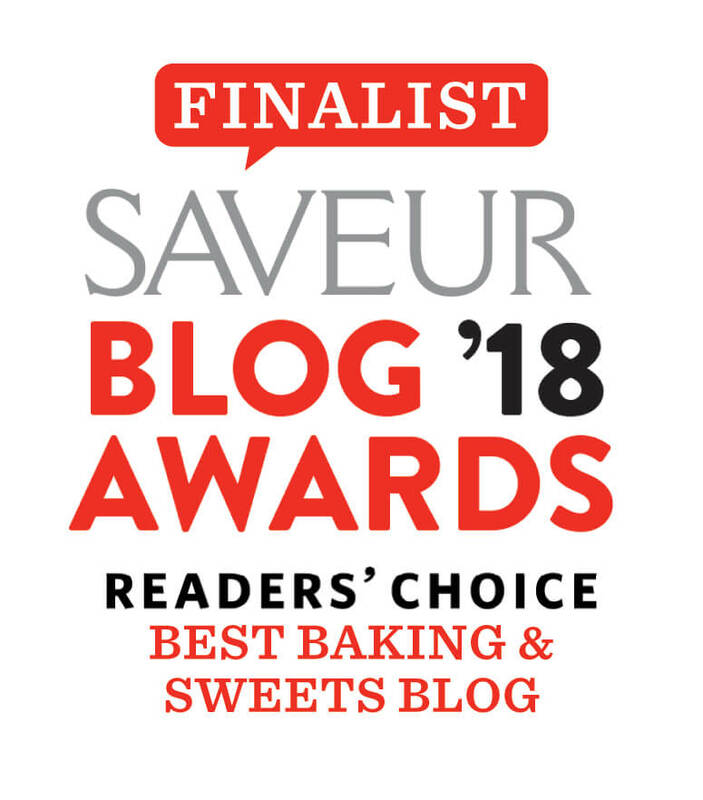 Remove from the oven and place on a wire rack to cool completely. 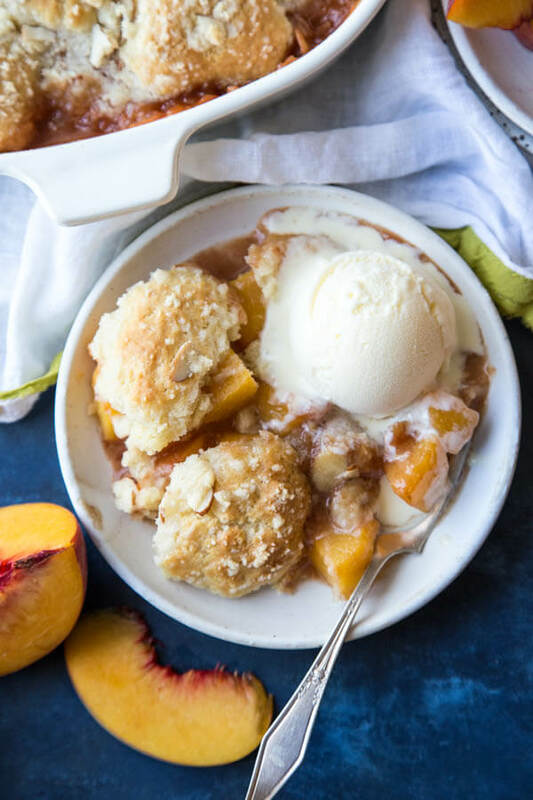 Serve with fresh peach ice cream or vanilla ice cream.